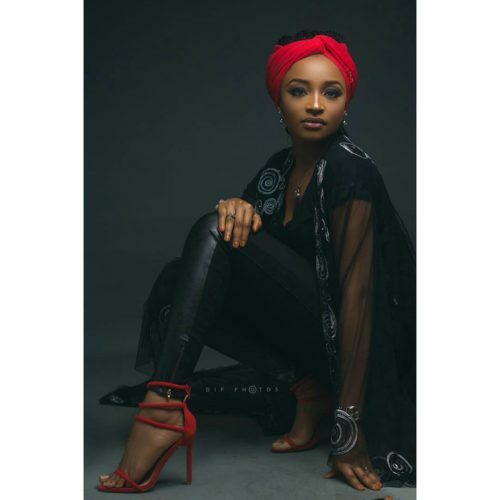 Former Kannywood star, Rahama Sadau shared some stunning new photos from her recent shoot with DipPhotos. Styled by Ummul Khair, Rahama was photographed rocking a black tee on pants with a huge sheer scarf for cover. Her red headgear and shoes complimented her calm demeanour and makeup which was done by Layy Ajay. 0 Response to " Former Kannywood Star Rahama Sadau Looks Stunning In New Photos"